James Leighton Hardy, who was better known to all his friends and colleagues as Jim, was the last direct link between the company and the founding family and was the son of a former joint Managing Director, William Hardy. He died on Saturday, 28th July, 2012. Born in 1927, Jim finished his education at Uppingham in 1944, then served with the Derbyshire Yeomanry in North Africa and the 15th/19th King’s Royal Hussars in Palestine. In 1948 he took a special engineering apprenticeship with Vickers Armstrong in Newcastle before joining Hardys, where he spent a year ‘working at the bench’ and learning the ropes in various departments. He then qualified in work-study engineering before setting up the company’s own Work-Study Department. 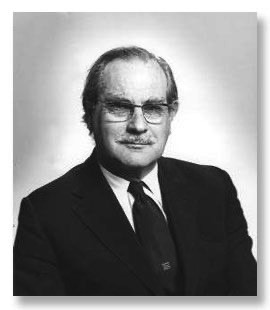 He joined the board in 1959 as Works Director and in 1967, shortly after the firm was bought by the Harris and Sheldon Group, was appointed Marketing Director. It was partly due to his efforts that Hardys’ fortunes improved dramatically in the home and overseas markets. Like all Hardys, Jim was a fervent and very knowledgeable fisherman, having been first introduced to the sport at the age of seven. A formidable competition caster, he won three Professional Casting Championships and took 35 British and All-Comers Professional Casting records. He retired from the company in 1992, after 44 years, but was retained as a consultant, often being seen in the factory taking a keen interest in the business. He spent many years researching the history of the company and writing a book, which was published in 1998. His wife Gwynne was also a keen angler, and they lived just a few miles from Alnwick, in his beloved Northumbrian countryside. His history of the Hardy company, The House the Hardy Brothers Built, was published by Medlar in 2006.